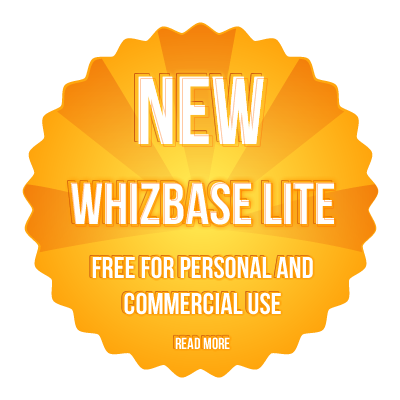 Although you can download and install WhizBase on your computer (laptop, desktop or server) we strongly recommend that you make your first steps using our free (no strings attached) trial service. To apply, simply fill the form below, check your email, click the confirmation link in the message you receive from us and we’ll set up trial web site for you. Initially trial webs are limited to 30 days period, but that can be extended on request, free of charge, up to 60 days in total. Once you get used to WhizBase we will be glad to help you with installation on your own machine.